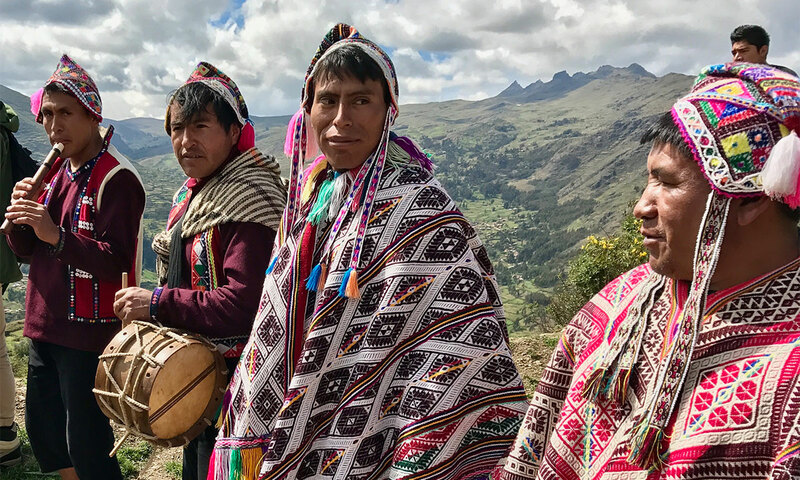 ANDES holds the newly-established Secretariat for the International Network of Mountain Indigenous Peoples (INMIP) which was established in 2014 in a conference of Indigenous mountain farmers held in Bhutan. The network aims to support mountain communities worldwide to undertake capacity development on climate change adaptation through community-to-community exchange of knowledge and experiences, scaling up of effective innovations, and network building. Indigenous methodologies and tools used to enable community-to-community research and exchanges serve as inspirational models that support and enhance biodiversity, ecosystem integrity, political autonomy, and cultural resilience. It also aims to gain greater recognition of mountain indigenous peoples’ rights by governments and the international community, and improve understanding of the pressing issues they face, and of their vital contribution to sustainable development. Currently, the INMIP network comprises more than 20 member organizations and communities from 7 mountain regions spanning 10 countries, who come together to share knowledge, information, best practice and experience, and to discuss how best to coordinate participation in international policy meetings and communicate their initiatives in the global arena.